WARNING: Just about all of these cheats disable achievements. DZMHairSpring ResourceCustom? Needs testing. "DZMHairSpring <#>"? OverEngineeredCodPiece Now Playing: "Terran Up the Night"
Do a lil dance, make a lil love. Lost Viking Mini-Game Click the arcade machine at the Cantina on the Hyperion. Exploding Neutral Creatures / Comical Dialogues Click units multiple times in succession. Cross-Universe, Easter Egg Marines"Heavens Fall" Mission - Frozen Marine - Bottom left corner; just before the zerg base near the lower left corner in the water. "Welcome to the Jungle" Mission - Murloc Marine - North of your base along the left edge; standing on a cliff edge surrounded by treest. "Zero Hour" Mission - Tauren Space Marine - Top of the map above the left Vespene geyser. Click it to launch into space. "Piercing the Shroud" Mission - Murloc Marine - Outside of the Loading Bay before the room with the Brutalisk. Follow the ledge north. Dancing Female Night ElfIn the Hyperion Cantina, look at the top left corner. You will see a hologram of a dancing Night Elf from World of Warcraft. Diablo CameoDuring "The Devil's Playground" go to the bottom right of the map on Redstone III. Diablo lies in wait to slay your units. Not even death can save you from him. 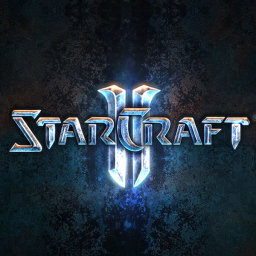 Houdini MauauderIn "Zero Hour" when you attack the northwest Zerg base, click the Marauder until you see "Secret 3, 2, 1..."
Nova CameoAfter you unlock the Ghost rifle when you complete "Ghost of a Chance", go to the armory and examine the rifle until Nova (StarCraft: Ghost) appears.